Known as the 2012 runner-up in the reality talent competition called Protégé: The Battle For The Big Artista Break, this Filipino actor subsequently appeared on such GMA Network dramas as My Destiny, Dormitoryo, and Rhodora X. His earliest television credits include a drama titled Perfect Vengeance (Filipino title: Akin Pa Rin Ang Bukas) and a fantasy series called The Story of Mariposa (Paroa: Ang Kwento ni Mariposa). 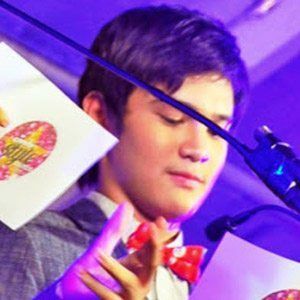 He appeared on a GMA variety program called Party Pilipinas and on a game show titled Celebrity Bluff. Born and raised in the Philippines province of Zamboanga Sibugay, he grew up in the Iglesia Ni Cristo faith. He frequently posts photos of him and his girlfriend on Instagram. He competed in Protégé: The Battle For The Big Artista Break, a reality series co-hosted by StarStruck winner Jennylyn Mercado.